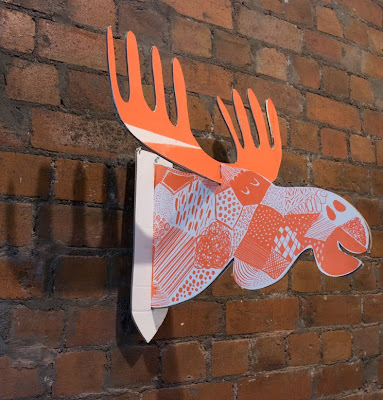 This 3D Moose Head, is definitely something different for your walls! Above your bed or in your corridor it’s sure to get noticed! 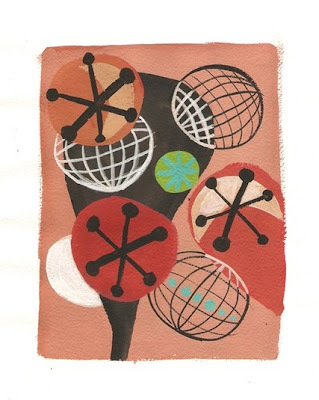 The patterned head is screen printed onto paper and secured to white mount board. Available in Orange or Blue. Lovely! 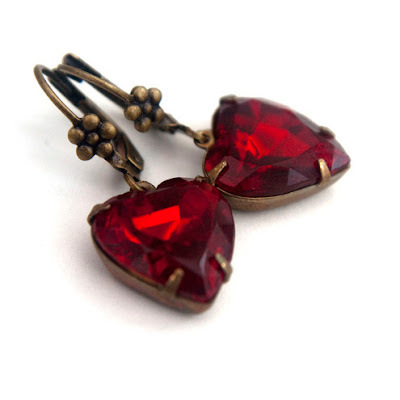 Beautiful rare vintage ruby heart jewels, hand set in open back brass settings, and hung from oxidised brass leverback earwires. The earwires are decorated with a sweet tiny flower. The vintage jewels are backed with foil, reflecting the light beautifully. A charming and beautiful addition to any outfit. A sweeping view over city blocks and crossroads. This is a print of an original ink illustration. Printed on 225gsm 100% cotton Somerset Enhanced velvet paper using archival pigment inks. Titled and signed by the artist. 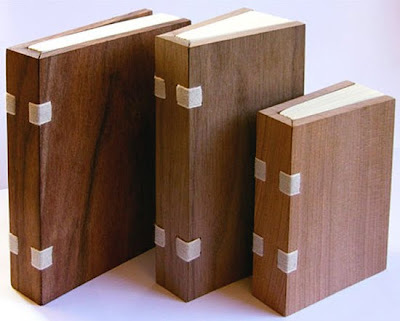 Xylobooks are handmade blank books, bound in salvaged furniture production hardwood offcuts. A collaboration between Container Corps and furniture maker Jonathan Nussbaum, these beautiful books are available in limited quantities in a variety of wood species. When you fill your book, the unique binding (invented by Container Corps) allows for your pages to be replaced in the Container Corps shop. Stunning! 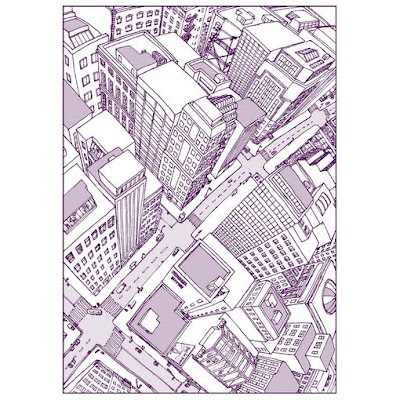 Beautiful print of a digitally coloured ink drawing. 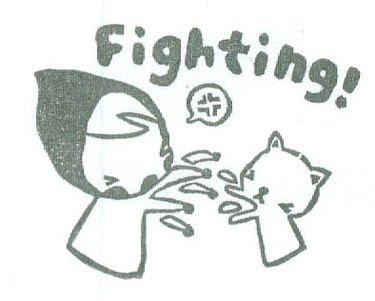 This print is 5" x 5" and signed and dated by the artist. Printed with Epson archival pigment inks on heavy matte paper. Cheeeeeep! 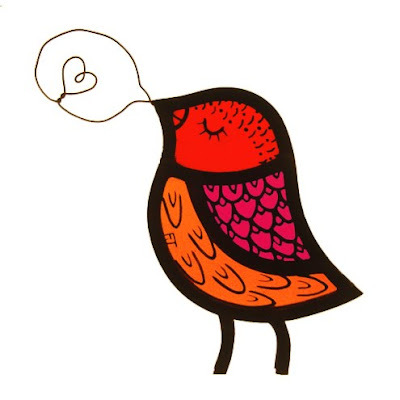 Hand-painted and fired in a kiln, this little stained glass bird in bright boiled-sweet colours will cheer up the greyest of days. Supplied with a small loop and thread for hanging in a window. This heart-art could be a super special valentine gift for your loved one or a wonderful wedding gift. 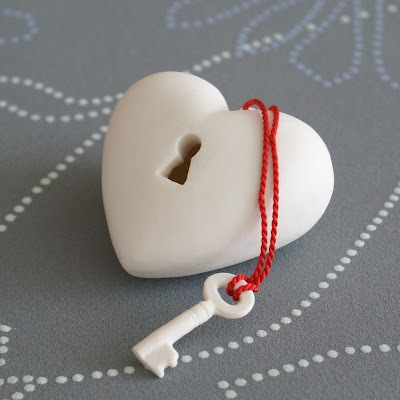 The heart measures 2", the key measures 1.5". Pressed from paper porcelain clay in a handmade mould, they are first bisque fired and finished and then fired again at a higher temperature for increased durability. Fantastic! This 11'" x 14" custom portrait makes a fantastic memento of a special occasion or a very personal gift for a loved one. 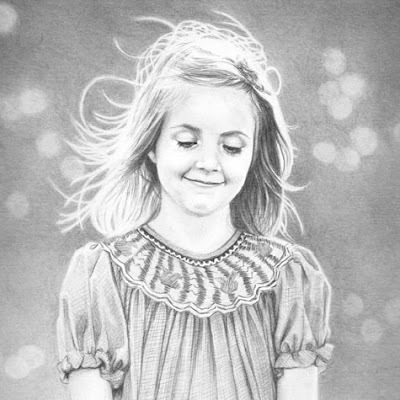 A beautiful and unique portrait is created in graphite pencil from your photograph. An exceptional talent, I'm sure you'll agree. Designed in rural Kent and handmade in Stoke-on-Trent, the historical centre of finest English pottery, Polly's pure and simple white shapes are the trade mark of her studio. 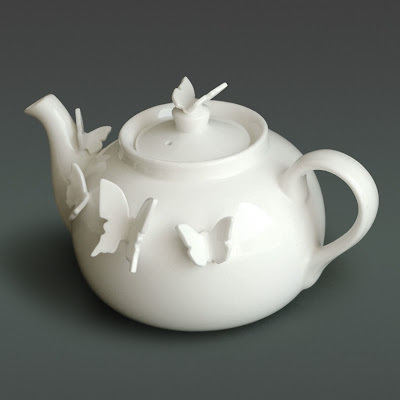 Produced in Fine Bone China and decorated with hand applied butterflies this gorgeous teapot is simple, clever and very, very beautiful. Make sure to visit Polly's website to see web design at it's best! Simply beautiful! 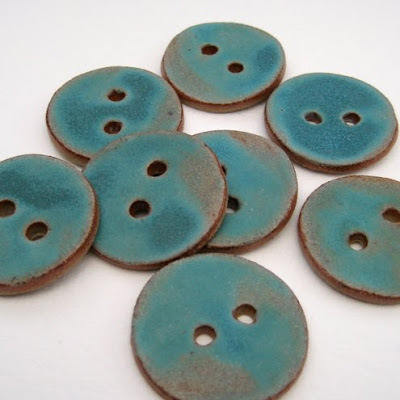 25mm handmade ceramic buttons made from stoneware clay and glazed on one side in a lovely turquoise matt glaze. 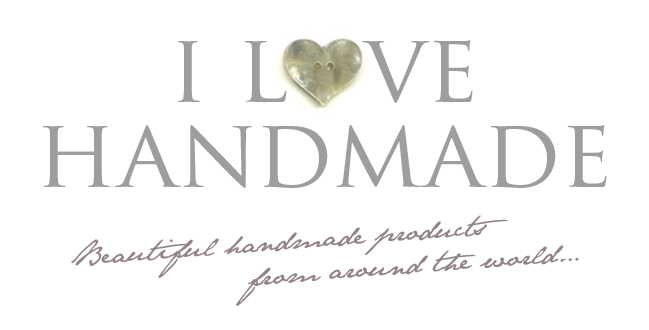 These beautiful buttons are made in Jude's little studio by the sea on the Isle of Wight. Tattoos are wonderfully provocative – here is a pain free way of getting one with a different sort of needle. 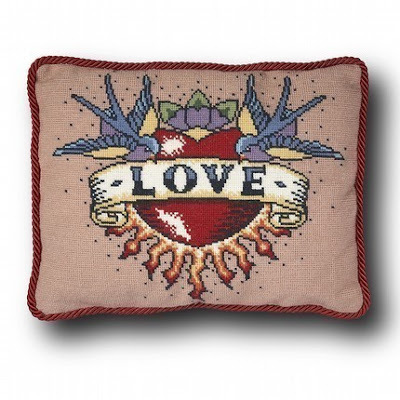 A beautiful needlepoint kit available in two sizes. The large kit is worked with Appleton Brothers tapestry wools in counted cross stitch on Zweigart 7 h.p.i. canvas. The small kit is worked with 2 strands of Appleton Brothers crewel wool in counted cross stitch on Zweigart 10 h.p.i. canvas. The design is worked from an easy-to-follow colour chart provided. Ideal for anyone with little or no needlepoint experience. Fantastic 8"x10" surreal print. 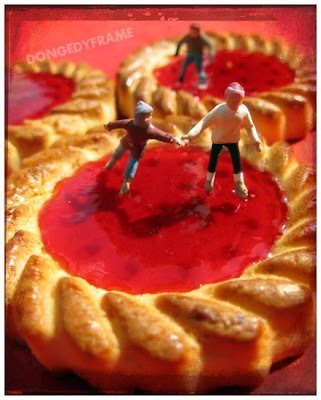 A tiny scene showing mini people skating over delicious tarts! Professionally printed on Kodak Royal paper and signed by the artist on the reverse. 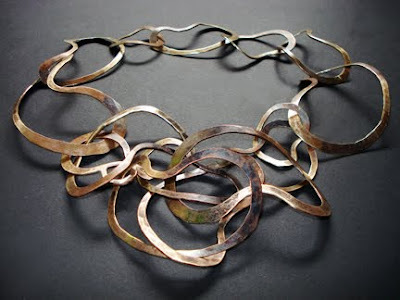 Hot and cold forged, heat oxidized then selectively hand burnished, this fun funky necklace definitely makes a statement with it's own personality. It can be worn in a couple of different ways. This piece is made to order and is also available in sterling silver upon request. Open edition of a fantastic original watercolor. Titled, dated and signed. Digitally printed on acid free 6 x 8 inch 300 grs. Fabriano watercolor paper. 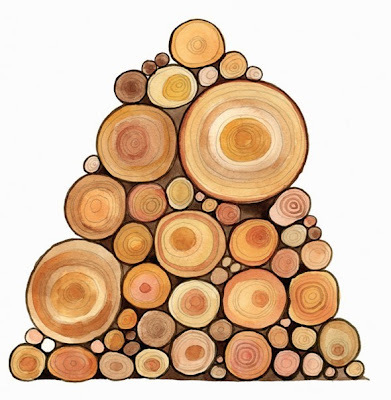 I really love the simple beauty of this illustration. Wonderful! 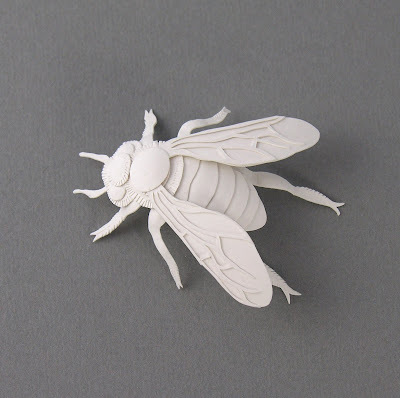 This 6 cm bee is a miniature paper sculpture designed and made by Elsita. Made from 25 little pieces of paper, carefully cut with a sharp knife and scissors and glued together with acid free glue. This bee is a curiosity that would look great framed in a shadow box. Signed and dated on the back with pencil. Each one of these bees is unique. This lovely bowl is made from stoneware clay, thrown on a potter's wheel, with the design added when it reached leather hard stage. 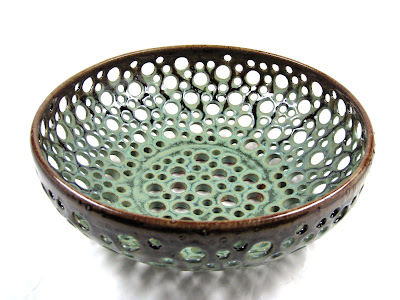 Glazed in a very satin finish green, highlighted with brown on the rim. The glaze is lead free and microwave / dishwasher safe. Beautiful! 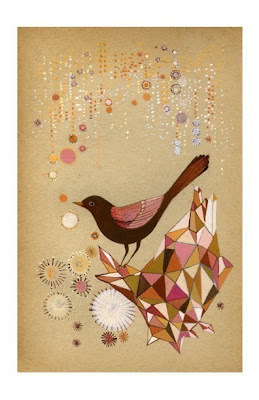 A beautiful limited edition giclée print of an original gouache painting. Limited to just 100 prints. Measures 5.5 x 8.5 inches with a small white border. Printed on museum quality, Hahnemuhle Photo Rag 308gsm paper. 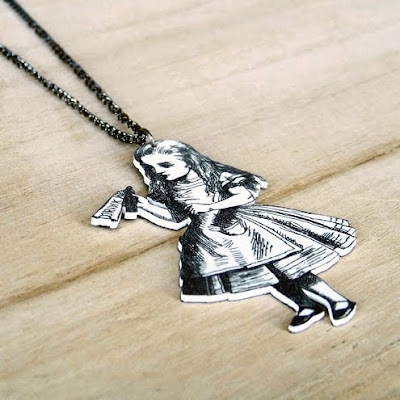 This pendant features an illustration by John Tenniel, from the first edition of Alice in Wonderland published in 1865. The pendant has been carefully hand cut from lightweight acrylic plastic and given a protective coating of matte varnish. 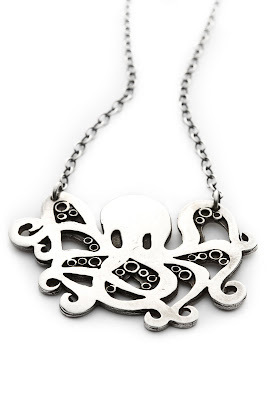 It measures approximately 5cm x 3cm at its longest/widest points and is mounted on an 18" gunmetal chain. 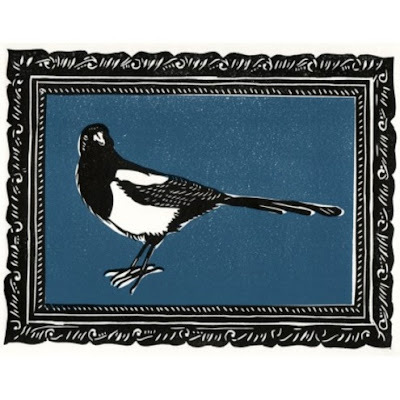 Beautiful open edition lino cut print of a cheeky magpie. Printed from a hand-cut lino "plate" with an oil-based but water washable ink on to Zerkall paper. This version has a French Navy background, but is also available on red or white. Fits a 10" x 12" frame. The beast of the sea! Handmade design from silver sheet and hand shaped little rings. Molded and cast for production, Octopus is 2 inches wide and 1.5 inches long. Rolo chain is 18 inches and length can be adjusted at the back. Art nouveau and industrial at the same time. Absolutely stunning! 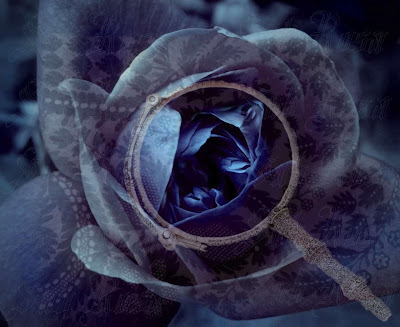 An original limited edition digital fine art print, Sub Rosa I, part of a triptych. Printed with archival inks on archival rag paper. Something truly unique, creative and individual to transform any room in your home or personalise your office space. Would make a gorgeous gift! Limited Edition of 100. Signed, dated and numbered individually by the artist. Stylish and eco friendly! 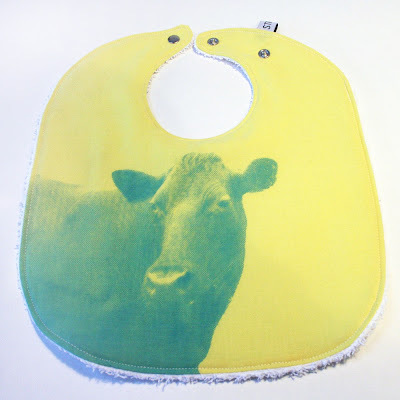 This incredibly fun pop art bib is made from recycled yellow cotton fabric with a hand printed green cow design. The back of the bib is white towel and It closes with a metal snap. Fantastic! 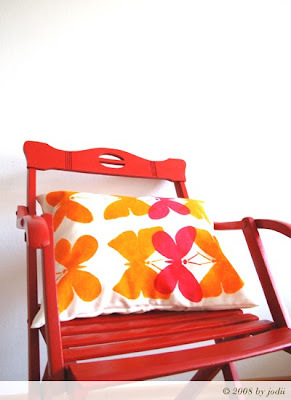 This beautiful cushion has been hand-printed on pure linen with pink and yellow butterflies. There are two buttons on the reverse for easy removal of the cover. The cushion inside is made of cotton and filled with 100% polyester fibre balls. Every butterfly has been hand printed separately making each cushion unique. 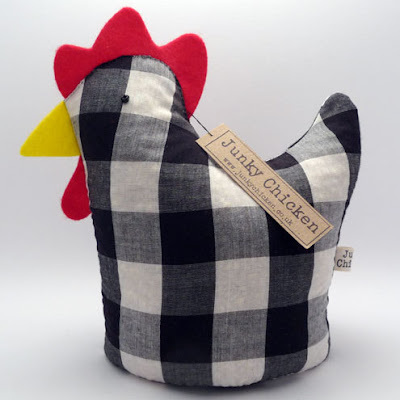 Beppo has been made from a remnant of black and white checked fabric. His beak and comb are cut from Eco-spun felt which is made from recycled plastic bottles and he is filled with pearl barley that was grown in the UK. Beppo is looking forward to finding a good loving home to adopt him. Flux – such a lovely word. This work was titled Flux, because it has gorgeous movement in it, a slow back and forth, where the little spheres and stars just dance around each other. It's endless, and it's fun! This is an original gouache painting on arches watercolour 185gms. Signed and carefully packaged, with a super dooper hand made inaluxe tag. It's an original and therefore one of a kind! Hooray! Compliment your special occasion with a beautifully simple way to decorate cakes – that will last long after any special day. 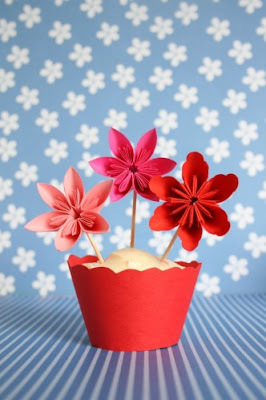 12 individual flower cupcake toppers in two different designs. Each paper flower petal has been hand folded, 6 making up a complete flower. Each flower is approximately 2 inches wide and 1.5 inches from the front to the back. 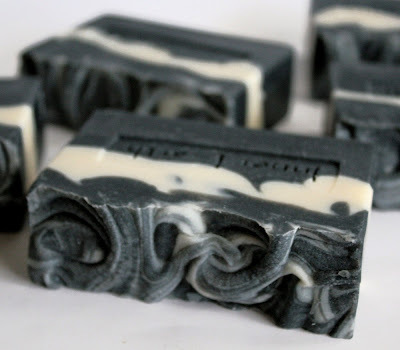 You might be thinking, why would you want to put charcoal in soap? You want to get clean, not dirty, right? Well the charcoal used in this soap isn't the type you scrape off your burnt toast – it's a specially activated kind that can absorb toxins and excess oil from the surface layer of your skin. The tiny particles also unclog pores and gently exfoliate to remove dead skin cells. This soap contains a generous portion of activated charcoal, plus a complexion-loving essential blend of tea tree (soothes red, inflamed skin and acne), and lavender (a natural antiseptic that soothes and heals). 100% natural and vegan friendly. 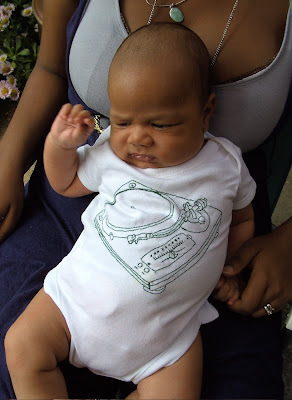 A cute record deck freemotion embroidered baby vest. Available in 0-3 months right up to 12-18 months sizes. Custom stitched to order in your choice of thread colour. Fantastic! 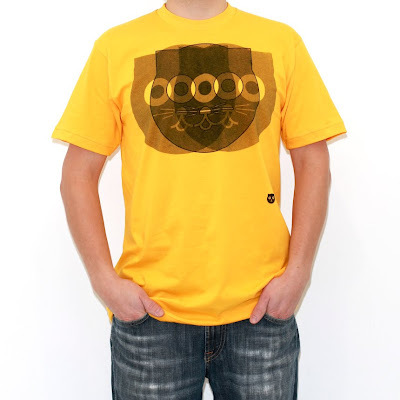 WTC is short for Watson The Cat, he's featured on this crazy, hypnotic, psychedelic, atom cat bomb design. Printed on a unisex 100% cotton, sweatshop-free American Apparel 'Gold' t-shirt. 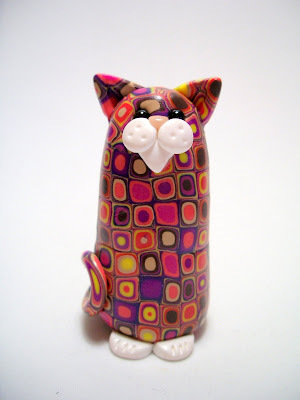 Fantastically detailed 5.5cm tall millefiori polymer clay cat, based on Gustav Klimt's trademark circles within squares patterns. 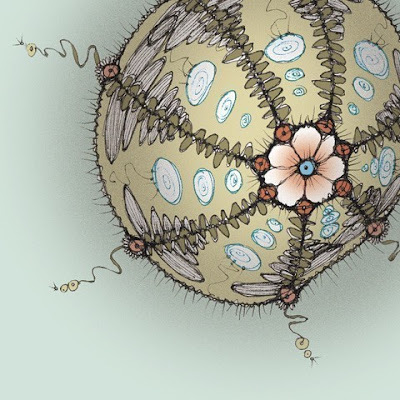 There's a fantastic write-up on how this piece was made, here. Kirsten, the artist, says in her post that this effect is quite straight forward to achieve! I think that you're being way too modest, Kirsten – it looks stunning!